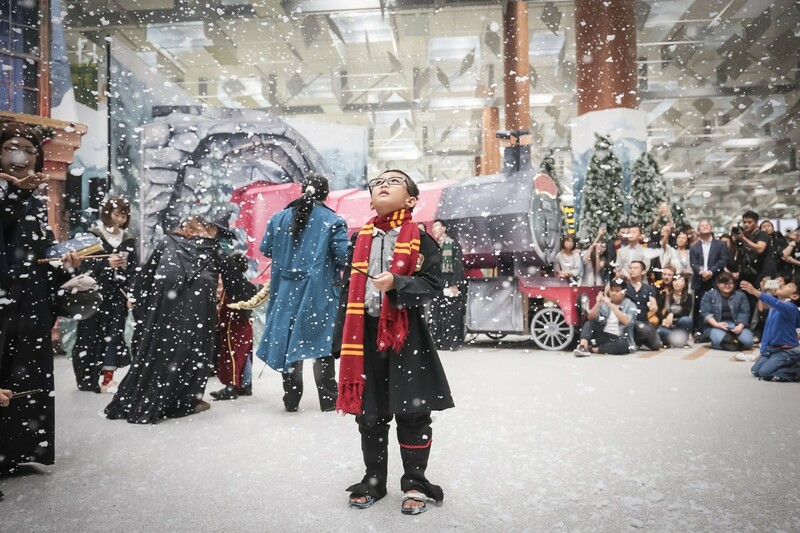 The Southeast Asia hub has installed full-size replicas of locations featured in the Potter books and movies, offering devotees of J.K. Rowling's creation another reason to fly. Elsewhere in Terminal 3 visitors will find Diagon Alley, with shops such as Quality Quidditch Supplies and Weasleys' Wizard Wheezes. In the Diagon Alley set-up, visitors can try on wizard robes, give "spell-casting" a shot and toss Quaffle balls used in the fictional sport of Quidditch in the Potter universe. Terminal 2, meanwhile, hosts the notorious Whomping Willow tree, while Newt Scamander's Menagerie, part of the new movie "Fantastic Beasts: The Crimes of Grindelwald," awaits in Terminal 1. 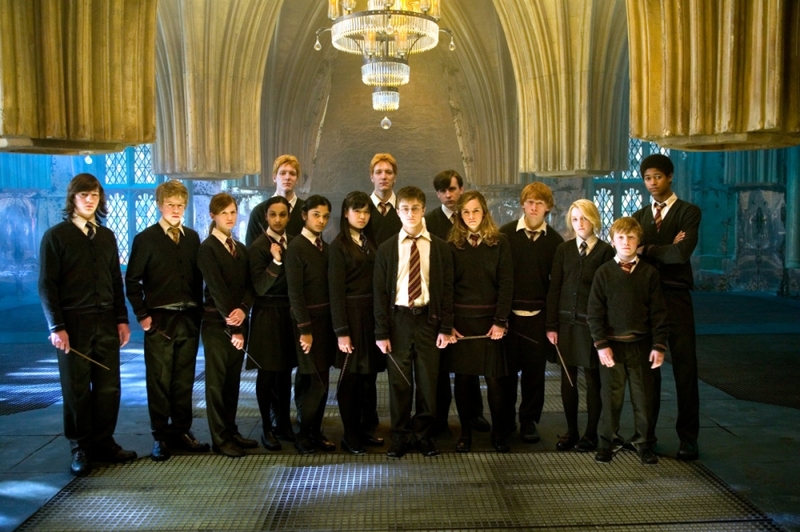 Fans can also check out the collection of official Harry Potter memorabilia on sale, such as plush dolls with the design of each character and 2-in-1 neck pillows designed according to the four Hogwarts houses. 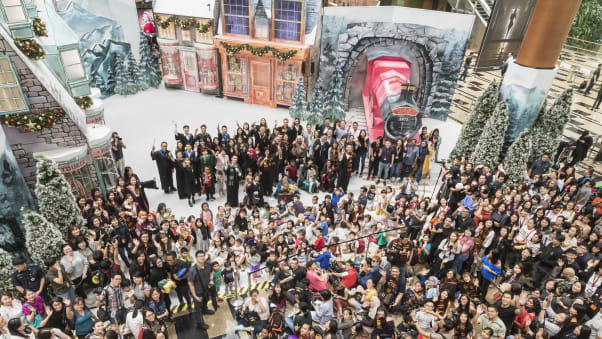 According to The Straits Times, this is the first such Harry Potter-themed event held outside the Universal Studios theme parks, and the first in an airport. 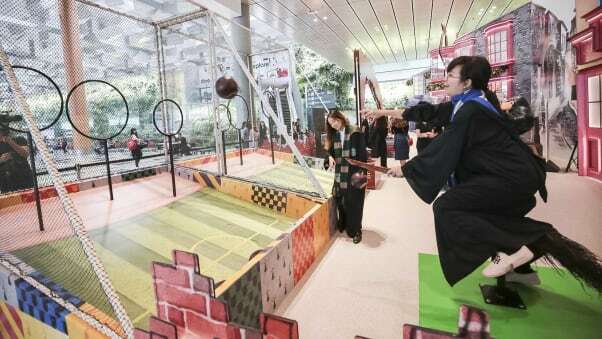 The "Wizarding World Holiday at Changi's" event will be up till mid-February next year, while the activities will end on Jan 6. Singapore Changi, which handled 62.2 million passengers in 2017, has been voted the world's best airport for six years in a row by the prestigious Skytrax awards, with the category dominated by Asian airports, CNN reported. According to the Changi's CEO, Lee Seow Hiang, the award "spurs us to continue to deliver the best passenger experience for all who travel through Changi Airport." And things are expected to get even better when the new "Jewel" terminal opens in 2019.